Happy Mother’s Day! What a wonderful day where we get to celebrate the number one lady- MOM! Moms are the best, and I am super blessed to have mine! I’m going up to Oklahoma in a few weeks and we will get to celebrate Mother’s Day together then- I can’t wait to give her a big hug! As some of you know, one of the things I enjoy is the podcast Gilmore Guys, where two dudes younger than me talk about an episode of Gilmore Girls in GREAT detail. It’s amazing. (And it turns out that one of my friends at work went to high school with one of the Gilmore Guys- I was 2nd-degree fangirling at the lunch table!) 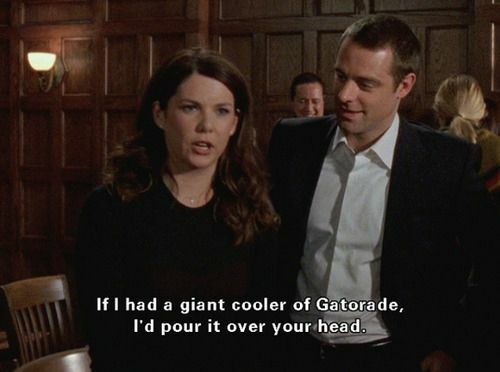 Because it’s a show about relationships with mothers, and it being Mother’s Day, I wanted to share some of my favorite wise words from Lorelai Gilmore. 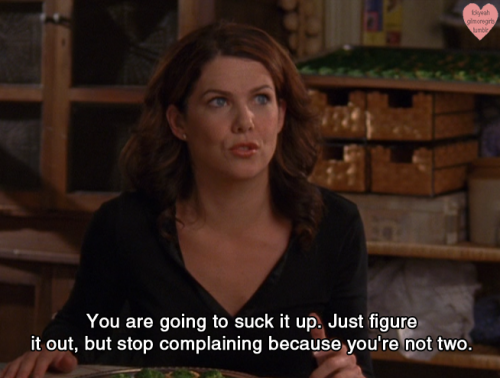 She knows how to boil down complex things, like marriage, into a single sentence. 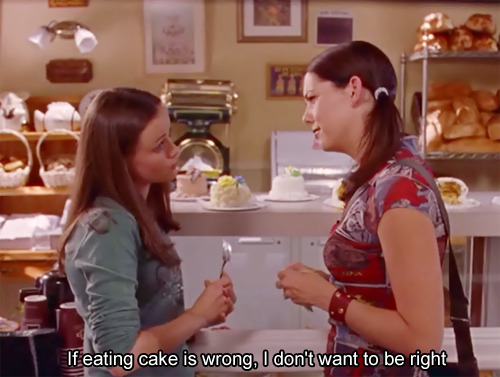 She understands the importance of good cake. She understands that sometimes relationships make you a little ridiculous. She knows how to tell someone they’ve done a great job. She knows how to give out some tough love when it’s needed. She knows a darned good way to handle a heartbreak. Happy Mother’s Day, you guys! « My Parents Opened a Laundromat!